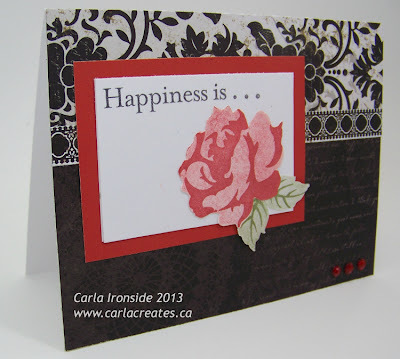 Welcome to the CTMH Stamp of the Month Blog Hop for March. This month we are featuring a gorgeous new stamp set called "Floral Happiness". Hope you'll join us this month - we have CTMH consultants from across the US and Canada who have created a variety of projects for you featuring this month's stamp set to inspire you! My creation for you today is a card created from Pattern 27 in CTMH's latest sketch book "Make it From Your Heart Volume 1". I was also inspired by a similar card I spotted on Pinterest from Betsy Gully. 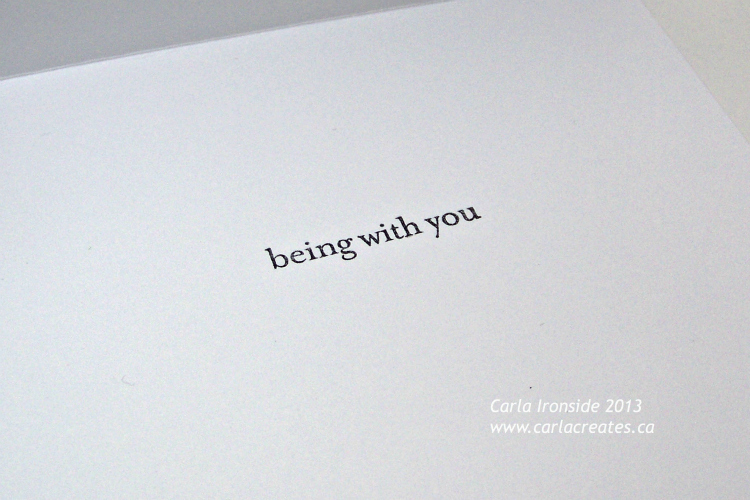 My card features the new classy paper pack "For Always" and some Red Glitter Gems. I stamped the flower in Cranberry ink and used first & second generation stamping to achieve the two-toned effect. My leaf is stamped in Olive ink, using the same technique. The flower and leaf were fussy cut using my microtip scissors. 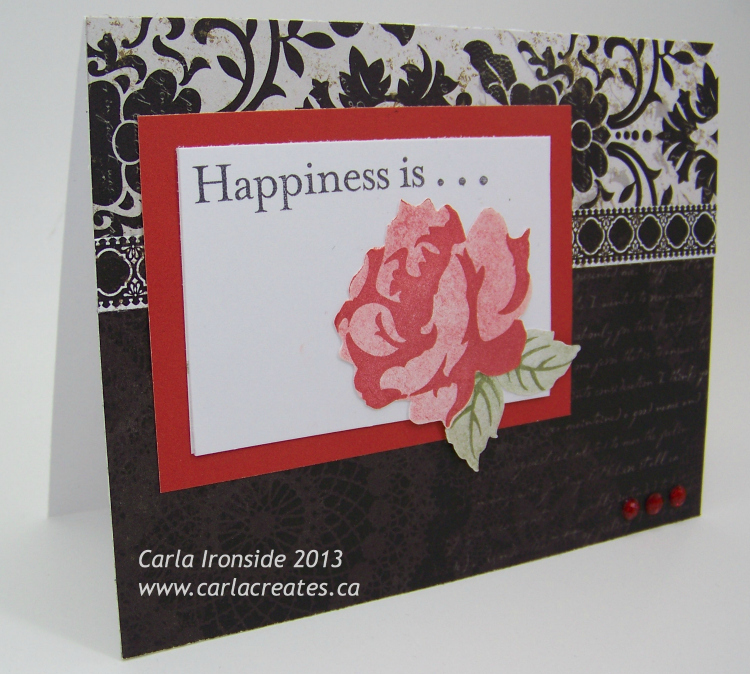 I also used white daisy and cranberry cardstock to complete my card. 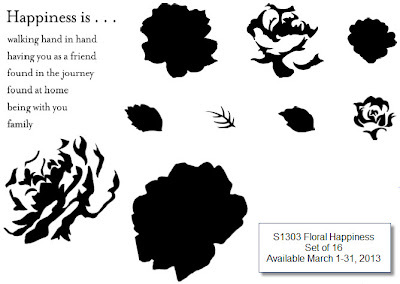 The March stamp of the month is available from your consultant (or from me) from March 1st to 31st. Purchase it for $17.95 or qualify to add it to your order for just $5 with every purchase of $50 or more during the month of March. 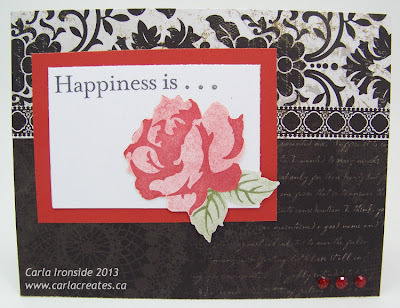 To see more great artwork using this stamp set - please continue to Dawn's Blog to see what she has created! 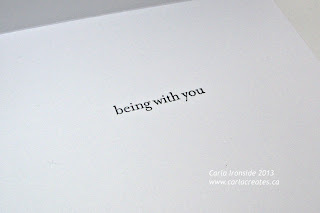 Wow Carla, this is simply stunning. So gorgeous.